WHAT IS SUPER BEAT SPORTS? It’s a collection of five sports-themed mini games with a musical twist- coming this Fall exclusively for the Nintendo Switch. Swing, volley, and score to the music to come out on top. Add instant multiplayer excitement to any party! 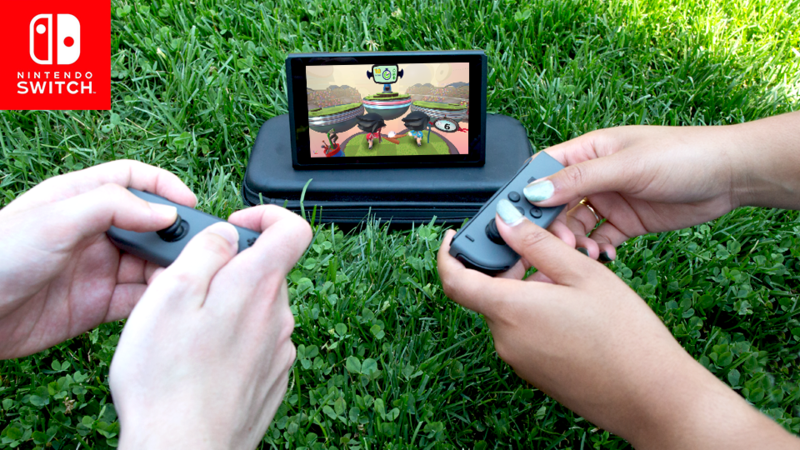 The Nintendo Switch gives you the freedom to play Super Beat Sports how you want: inside or outside, single or multiplayer, one controller or two, vertical or sideways, motion controls or buttons. Test your rhythmic reflexes with 5 mini games based on familiar sports like tennis, hockey, golf, and volleyball. Play solo or with up to 3 friends! Use motion control, or buttons, play horizontally or vertically with Joy-Con™, or use the Pro Controller. Unlock new difficulty levels and compete for high scores. Customize your slugger’s outfit and bat – go traditional or try something ‘special’. Play Super Beat Sports with up to 3 friends! Whether it is handheld or docked, the competition will be out of this world. Have an Apple TV? Check out the original Beat Sports.